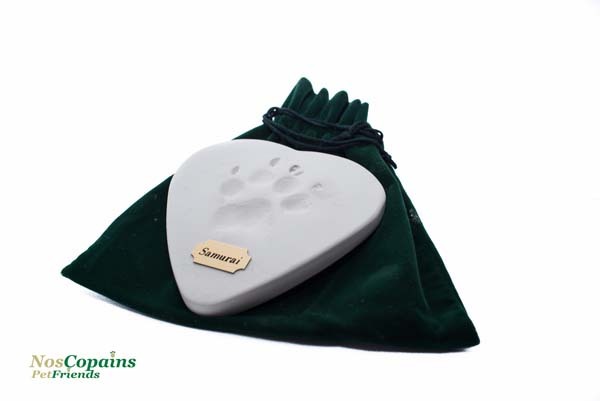 Our cremation Keepsake Locket holds a special memorial: a small amount of cremains or a lock of hair. Each pendant is handmade from solid sterling silver or gold-plated, with a 20" chain, presented in a velvet gift box. 3/4 " x 1/2 "
3/4 " x 1/4 "
Charm Bracelet - 7 1/2 "
3/4 " x 3/4 "
Print our Keepsake Lockets PDF. 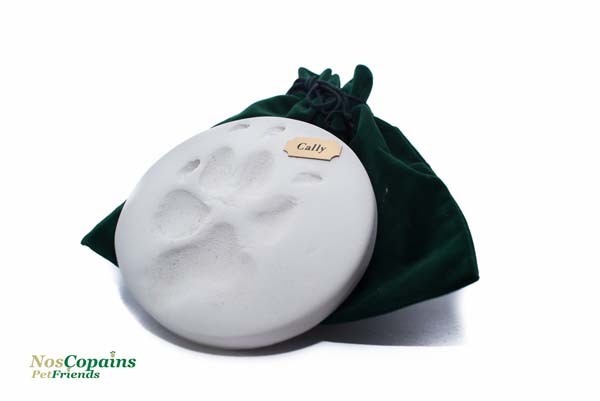 Paw impression in clay either round or heart shaped with name plaque. 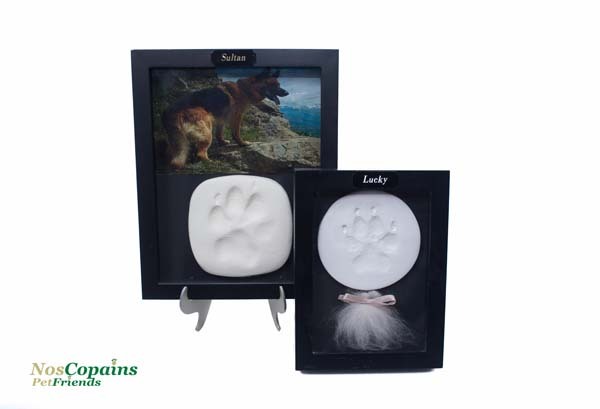 Includes clay paw print, fur clipping and name plaque. (It is possible to add a picture of your pet for the large size).